All of my center activities are B1G1. All you need to do is email me at matt_danielle1217@yahoo.com and let me know your username, which product you purchased and which product you would like for free:) How simple is that!!! 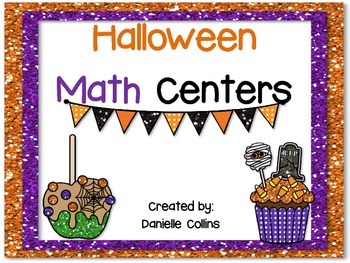 This Math Center pack has a great Halloween theme. 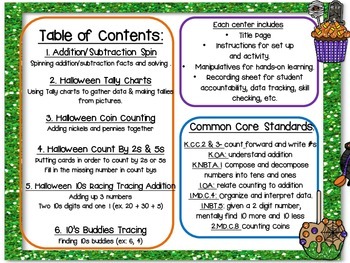 Each center includes Title Page, Instructions for set up and activity, Manipulatives for hands-on learning, and a recording sheet for student accountability, data tracking, skill checking, etc. 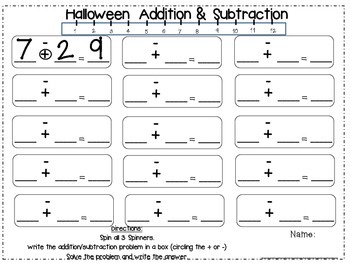 Spinning addition/subtraction facts and solving . 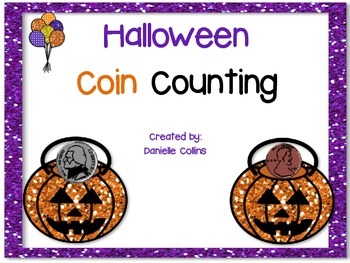 Using Tally charts to gather data & making tallies from pictures. 1.MD.C.4: Organize and interpret data.